There are many reasons why owners consider breaking their horse to drive. Often there is an outgrown pony that the family can’t bear to sell, or perhaps a rider who has to give up riding but refuses to give up horses. Or maybe you just want an additional way of enjoying your horse for fun or competition. Using natural horsemanship diagnostics and my own experience I will assess the horse for its fitness to break into a driving horse. 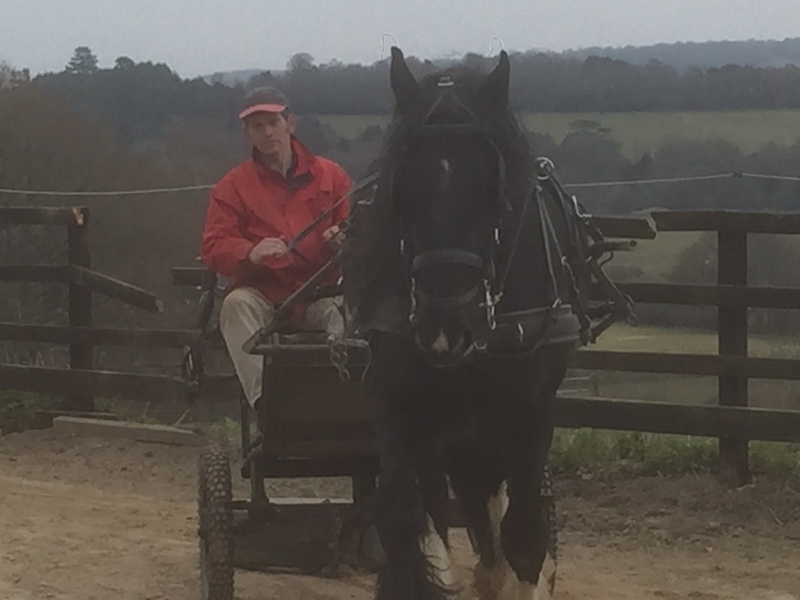 Depending on distance, you may bring your horse to us for frequent, regular sessions or leave him/her in livery with us to be worked up to six days a week if appropriate. The intensity of the training must depend on the horse’s fitness. I have met many nervous horses and my approach to them, as to all horses, combines natural horsemanship techniques with traditional skills and my own experience. The problem may be general or specific, e.g. traffic or loading. Whatever the circumstances, working with nervous horses requires confidence, quietness, patience and an ability to read body language. Above all it needs understanding of horse behaviour. I would be pleased to chat about any problems you are experiencing with your horse. I will do my best to find a solution to suit you, your horse and your finances.